Critical Analysis: The Internet: The Land of the Free? “The Great Firewall of China” is well-recognized around the world as referring to China’s closed-internet policy. Edward Snowden’s leaks advertised to the world that privacy online in America is more of a myth than an actuality. But perhaps all of this is just leading to the next stage of internet freedom – not actual freedom, but more transparency in how the internet is being monitored. 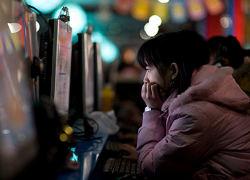 Censorship in China is based mainly on government laws. The Sina Weibo study, for example, understood that “[i]f Sina Weibo had insufficient controls, the government may take action against the company. If their controls were too rigid, users might abandon them for one of their competitors.” China is not the only state that uses laws, regulation, and general technology to regulate and monitor internet-use by its citizens. Iran uses filtering and slow connections to attempt to censor internet use. India actually has laws against monitoring, but apparently the government has violated its own rule by monitoring the activities of almost 160 million Indian internet users. And of course, the United States’ NSA monitors the internet activity of millions of Americans. Perhaps instead of using national laws to inhibit freedom on the internet through censoring or monitoring, as has apparently become the trend over the last three years, it is time to promote privacy instead. While the UN’s International Telecommunication Union (ITU) recently attempted to negotiate a new treaty for states to sign, the treaty focused more on the rights of governments in telecommunications than individual privacy rights. If the UN is not helping to promote an international standard, it may be best for a state or group of states to design a Model Law for states to adopt to promote internet privacy. If a Model Law existed and was shown to be effective for some states, other states, that hold onto monitoring and censoring as necessary for security, would see a viable – and more politically palatable alternative. Until then, China might at least be making strides in being more frank about how it is monitoring its citizens. Although a long way from a lack of censorship, this could be a very important step towards more internet privacy – hopefully one that other states will be willing to adopt. Samantha Peaslee is a 2L at Sturm College of Law and Managing Editor for the Denver Journal of International Law and Policy.